Australia is an attractive and popular destination for many American travelers, businesses, and investors. However, it is critically important for US expatriates to comply with the US tax code. Certified Public Accountant Ted Kleinman can help. Get started learning more about FBAR, the streamlined procedure, and your tax reporting requirements as a US expat in Australia. CPA Ted Kleinman has over three decades of experience helping US expats navigate and comply with tax requirements imposed by the IRS. If you’re a US expat living in Austria, you still need to report your income to the IRS and may be required to file an FBAR. Belgium’s popularity among expatriates has also brought scrutiny from the Internal Revenue Service, which in recent years has become increasingly aggressive with regard to enforcing compliance with tax requirements for US Expats in Belgium in foreign countries. If you’re a US expat living in Bermuda, or if you’re planning on moving from the US to Bermuda in the future, you need to make sure you are compliant with US tax laws and have satisfied all of your reporting requirements. Failure to comply with federal tax regulations can result in the imposition of substantial civil penalties, which can cost thousands upon thousands of dollars. If you are a recent expat and need help with US Taxes for Expats in the British Virgin Islands, or are thinking about expatriating in the future, it’s crucial that you take proactive steps to ensure your compliance with all IRS reporting requirements. The United States is unique in subjecting global income to US income tax, and failure to file forms, make payments, or disclose bank accounts can result in the imposition of devastating civil penalties. Our certified public accountants have the training and licensing necessary to process your tax documents, if you’re a United States citizen living and working abroad in Canada. Ted Kleinman has knowledge to handle all U.S. taxes for expats in Canada. Expatriating from the United States to the Cayman Islands does not relieve you of your duty to report income to the Internal Revenue Service, or IRS. While your location may have changed, your tax obligations have not. 30 to 40 years ago, few Americans would have considered China to be a desirable country to relocate to. However political and economic reforms have transformed the country into an emerging giant. Today, China routinely ranks as one of the world’s fastest growing economies and regularly boasts growth rates that far exceed what is possible in the developed world. For more information read our guide for US Expats in China. Certified Public Accountant Ted Kleinman has more than 30 years of experience specializing in international tax matters. Ted can help bring you up to date with unfiled tax returns, walk you through FBAR reporting requirements, help you navigate the streamlined procedure, and keep you compliant with all applicable US taxes for expats in France. All US persons must report worldwide income to the IRS. Even if you are residing or working in Germany, you will still have to file certain tax forms or risk civil penalties and even criminal prosecution. What are some of the tax considerations for US expats in Germany? International CPA Ted Kleinman has over 30 years of experience helping American expatriates resolve their tax compliance issues. If you’re a US expat living in Greece and need to file for an Offshore Voluntary Disclosure Program (streamlined procedure), need help resolving compliance issues like failure to file an FBAR or failure to file or pay tax, or simply need to get your finances in order before departing for Greece, US Tax Help is here to assist you. If you’re a US expat living in Hong Kong, or if you’re planning on moving to Hong Kong in the future, it’s important to ensure your full compliance with US tax laws both before and after you depart. Otherwise, you could be subject to costly civil penalties, or even criminal prosecution. Expatriates are not exempt from the IRS’ strict reporting requirements, and furthermore may be subject to additional taxes such as the exit tax. The United States is one of the only countries in the world that requires citizens and expatriates to report worldwide income. As a US expatriate living in Ireland, you must comply with IRS reporting requirements or risk the possibility of massive civil penalties and criminal prosecution. If you’re a US expatriate residing in Japan, or if you’re planning on expatriating in the near future, it is critically important to ensure your compliance with the Internal Revenue Code. Lebanon may be small in size, but that hasn’t stopped this diminutive nation from developing a reputation as one of the top tax havens in the world. Unfortunately, this distinction means that Lebanon attracts not only American expatriates, but also the vigilant attention of the Internal Revenue Service (IRS). If you are a US Expat in Lebanon, it’s important to understand what to do for your taxes. Nestled between Germany, Belgium, and France, US Expats in Luxembourg are offered the rolling countryside, a rich cultural heritage, and of course, attractive financial prospects, ranking among the world’s wealthiest countries. If you are a US expatriate living in Mauritius, or if you are planning on expatriating to Mauritius in the near future, don’t allow a mistake on your taxes to expose you to fines and prison time. Call Ted Kleinman of US Tax Help at (541) 923-0903 to set up a completely confidential consultation. While financial growth has made Malaysia an appealing location for Americans from all industries and walks of life, it has also invited scrutiny from the watchful eye of the Internal Revenue Service. US Expats in Malaysia are required to submit various documents, and critically, any failure to comply with such regulations may result in the imposition of substantial civil penalties. Employed anywhere in Mexico as a United States citizen? You may have additional tax obligations to the IRS. 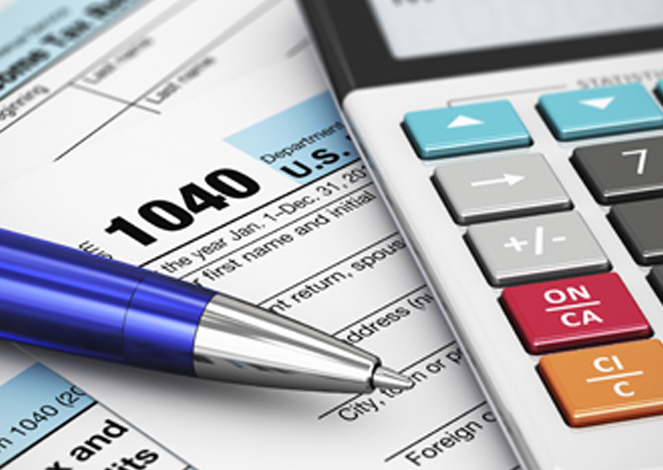 Get more information about U.S. taxes for expats in Mexico from our licensed CPAs. International CPA Ted Kleinman has over 30 years of experience helping American expatriates resolve their tax compliance issues. Whether you need to file an FBAR, want to participate in the streamlined procedure, or are simply concerned about the accuracy of your tax documents, US Tax Help can assist. Read more about US taxes for expats in the Netherlands. If you’re planning on renouncing your citizenship and becoming an expatriate, or if you’re among the thousands of US citizens currently living and working in Panama, it is critically important to ensure that you are in full compliance with all IRS reporting and filing requirements. Moving to a new country is an exciting time, but it’s also important to make sure that you understand your tax liabilities as a taxpayer living abroad. International tax matters require meticulous planning, organization, and attention to detail. Moving to a new country is an exciting time, but it’s also important to make sure that you understand your tax liabilities as a taxpayer living abroad. International tax matters require meticulous planning, organization, and attention to detail, while failures to comply with US tax laws can result in steep fines or even criminal prosecution and incarceration. If you’re unsure about your US Taxes as an Expat in Russia, don’t hesitate in reaching out to a CPA that can help guide you. As an American expatriate living in Saudi Arabia, you are subject to rigid US tax filing requirements, non-compliance with which can result in a multitude of civil penalties, fines, and even the potential for criminal prosecution and incarceration. For more information, read our tax guide for US expats in Saudi Arabia. CPA Ted Kleinman has over three decades of experience helping US expatriates to Singapore take advantage of credits and deductions, and negotiating with the IRS in matters of tax compliance related to FATCA, FBAR, and the streamlined procedure. What reporting information do you need to know as a resident of Singapore? If you’re considering becoming a US Expat in South Korea, you should consult with an experienced CPA before you move. 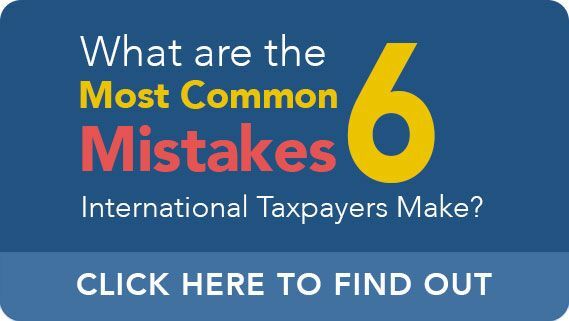 Expatriates and US citizens abroad are subject to the some of the world’s most complex tax liabilities and reporting requirements, and even innocent mistakes can have lasting financial and legal ramifications for noncompliant taxpayers. Switzerland has long been known as a tax haven, making it highly attractive to many US persons and business owners. However, the financial policies which have made Switzerland famous among the “Big Seven” have been undergoing dramatic changes during the previous decade, and particularly during the past few years. Get more information for US Expats in Switzerland from our experienced CPA. One of the largest economies in Southeast Asia, Thailand’s vibrant culture and rapid financial growth have made it a popular destination for American expatriates in recent years. But while its exotic climes and robust economy make bustling Thailand an appealing destination for expatriation, US Expats in Thailand must pay close attention to local and international tax rules. The UK is traditionally considered a particularly attractive destination for US expatriates. Many expats cite London and its status as an international financial hub as one of the key reasons that motivated their relocation. Get more information for US Expats in the UK here. If you are planning on moving to Vietnam, or if you recently relocated, it is critical to familiarize yourself with the tax requirements to which you are subject as a citizen living abroad. Compliance failures for US Expats Living in Vietnam, even of the unintentional variety, can subject you to costly civil penalties. Attempting to file tax documents as an expat without the help of an experienced and certified public accountant is a risky gamble. Failing to use the correct forms or disclose all of your foreign income and accounts could result in a costly audit by IRS investigators. Contact CPA Ted Kleinman today to get the help you need to get your taxes filed correctly the first time. Even if you haven’t filed appropriate tax documents for years prior, US Tax Help can still assist in guiding you through the foreign disclosure process to bring you into compliance. No matter where you live and work in the world, the trained CPAs at US Tax Help have the knowledge and skill necessary to process your expat taxes and submit them to the IRS. We remain dedicated to working with you and your family to have you pay the lowest taxes allowed by law. We add service countries on a regular basis, so even if you don’t see your nation or country listed below, you can still submit a contact form to request a consultation about your specific expatriate tax matter. You can consult with Ted, who has over 30 years of experience helping expatriates and non-resident aliens around the world, resolve US tax issues. Consultations are available at the rate of $150 per 30 minutes. Consultations are held over the phone or via email at your convenience, without needing to visit an office. Consultations typically range anywhere from 30 -90 minutes, respectively. If the initial consultation lasts less than the budgeted time, the remaining balance can be applied toward tax preparation services or future questions you may have. Consultation costs must be paid in advance. You will receive an E-Invoice to pay the retainer from a US account via bank debit after your introductory email and brief fact pattern is received. If you would like to schedule a call, please send Ted an email suggesting a time, pay the retainer, then schedule an appointment. If you decide to proceed with a professional relationship he would prefer to review documents prior to the consultation. You may use our Secure Document Portal to send sensitive information. The minimum charge for tax preparation is $475. 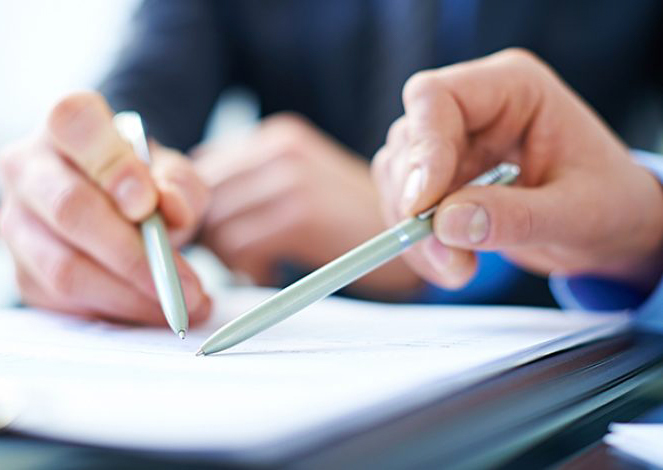 The final price is determined after a scope of work is established by reviewing specific documents. The types of documents needed for the review will be outlined in response to your introductory email and brief fact pattern. These may include sensitive documents such as previous tax returns, FBAR's and employment contracts. There is no charge for reviewing documents and providing a price quote. You are in control of the process. If you decide not to proceed after the no charge review, you owe nothing. Sensitive documents remain confidential and may be sent securely using our Secure Document Portal. If you are accepted as a client, you'll receive an engagement letter for your review and approval. Once the engagement letter is approved and the retainer paid; Ted will lay-out a work plan and your responsibilities in detail.